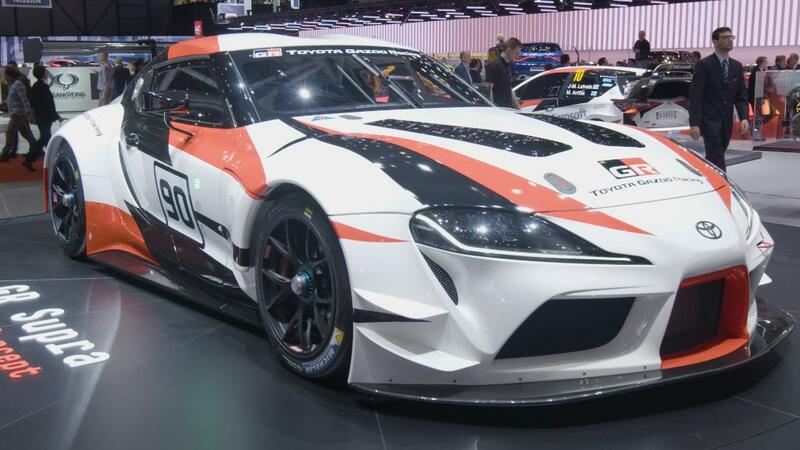 One of the most striking concept cars at the Geneva International Motor Show was, not surprisingly, created by the designers at Aston Martin. It was the Lagonda Vision X concept, and it provided a preview of a future Lagonda line of fully electric cars. 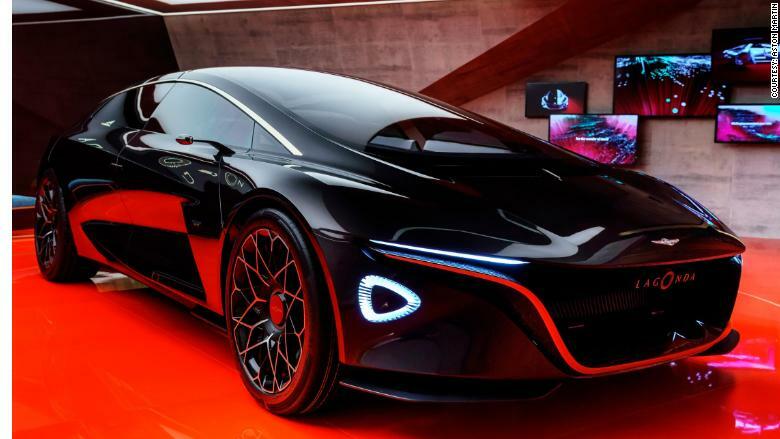 Besides being all electric, Aston Martin promises that Lagonda models will have full autonomous driving technology. With a sweeping profile that arches from nose to tail, the Lagonda concept consists mostly of occupant space. With no engine, almost all the space between the wheels can be used for people. While the doors open outward from the center, part of the roof also opens upward, allowing passengers to step in and sit without having to crouch. The Lagando Vision X concept's shape maximizes interior space. The steering wheel can be moved so that it sits in front of either the left or right front seat, allowing the car to be comfortably driven in countries where vehicles drive on the right or on the left. That's especially important in a car from the UK where cars drive on the left. The steering wheel can also be fully retracted when the car is driving itself. The Lagonda's interior includes materials such as wood and carbon fiber that are often found in cars, but they're mixed with wool and silk, which are less often seen inside an automobile. 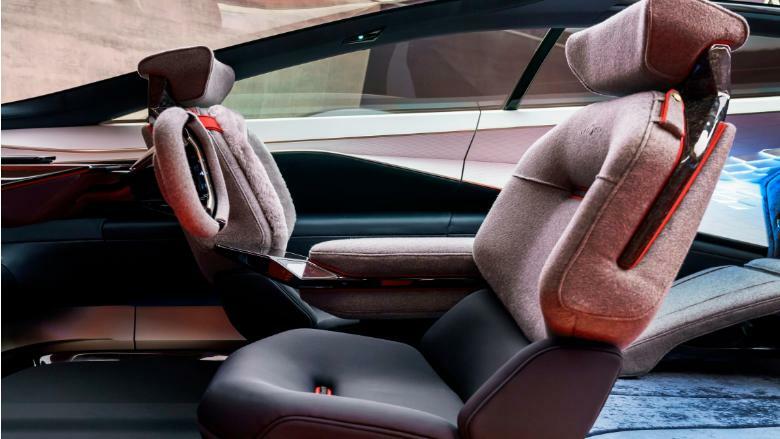 The front seats can be rotated fully, allowing occupants to speak face-to-face. Aston Martin said Lagonda cars could come to market as early as 2021, although there is no firm timeline. In addition to the full-size concept car, smaller models of a car and an SUV for the brand were also displayed. The Lagonda name was originally attached to a separate carmaker that Aston Martin purchased out of bankruptcy in 1947. It has since had an on-and-off existence as a car brand, having been discontinued and revived a few times over the many decades since. The most famous Lagonda model is probably the 1976 V8 Lagonda, an aggressively wedge-shaped sedan with what was advanced technology for the time. It was known for its futuristic-looking interior with few mechanical buttons or knobs, and rows of electronic switches instead.